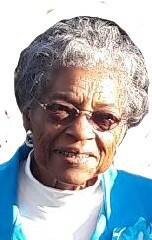 Mrs. Viola Bell McRae, age 82 formerly of Fayetteville departed this life Friday, April 6, 2018 in Jacksonville FL. Funeral service will be held on Saturday, April 14th at 11:00 AM in Beauty Spot Missionary Baptist Church. Burial will follow in Cumberland Memorial Gardens. Viewing: Friday, April 13th 2:00 PM to 7:00 PM at Wiseman Mortuary. The family will receive friends at 1831 Rim Road, Fayetteville. She leaves to cherish her loving memory: children, William Thomas McRae, Brenda Faye England(Julius), Jeffrey Wayne McRae(Mary), Darryl McRae(Brenda), and Anita Renee McNeill; sister Maggie Bell McGill; 20 Grandchildren and a host of great grandchildren, great great grandchildren, nieces, nephews, cousins other relatives and friends.